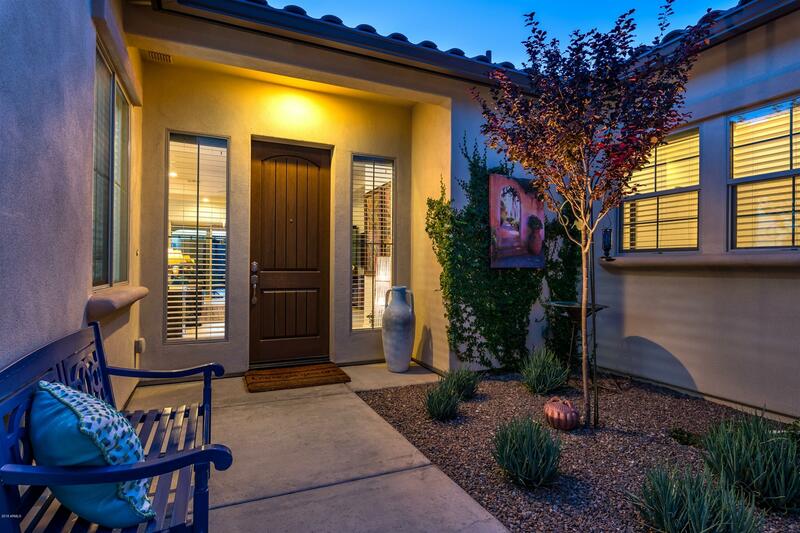 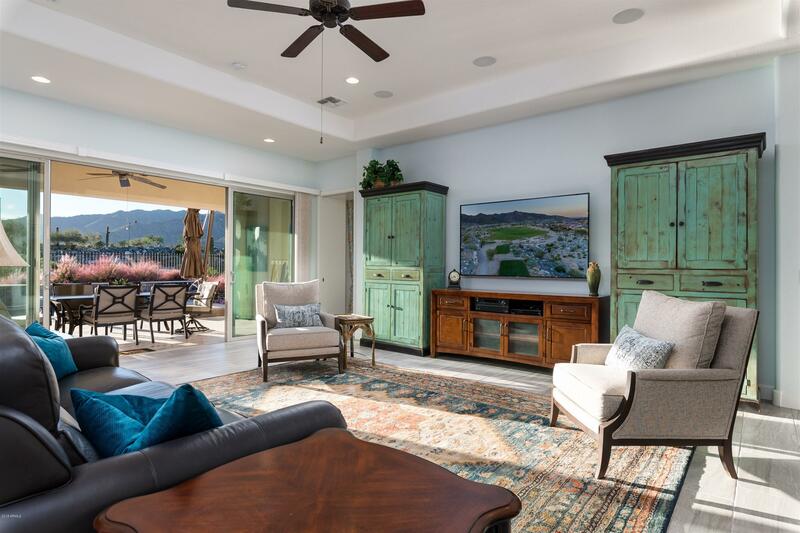 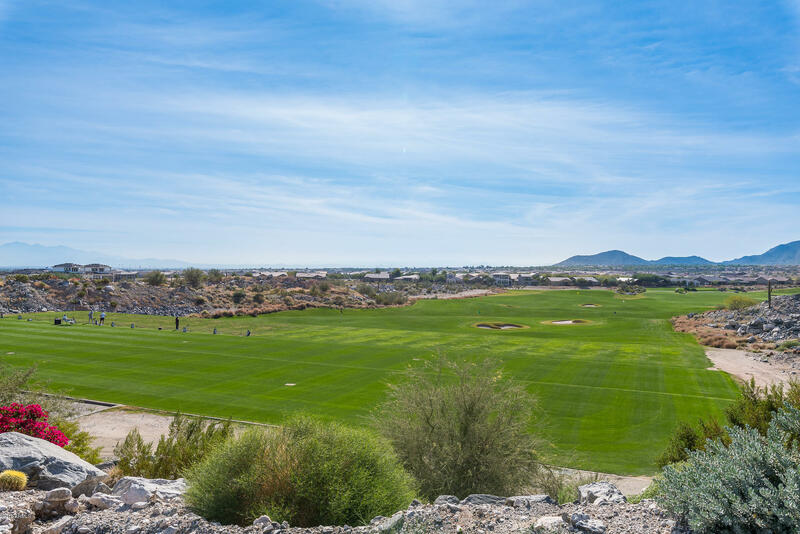 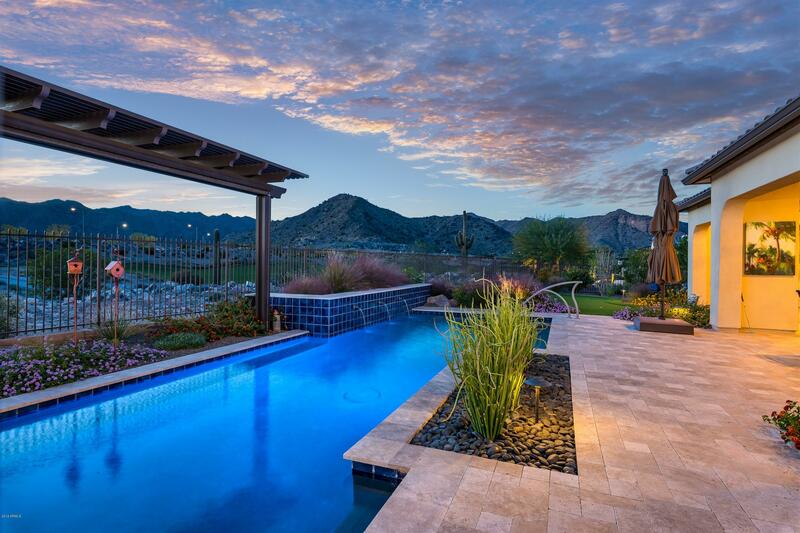 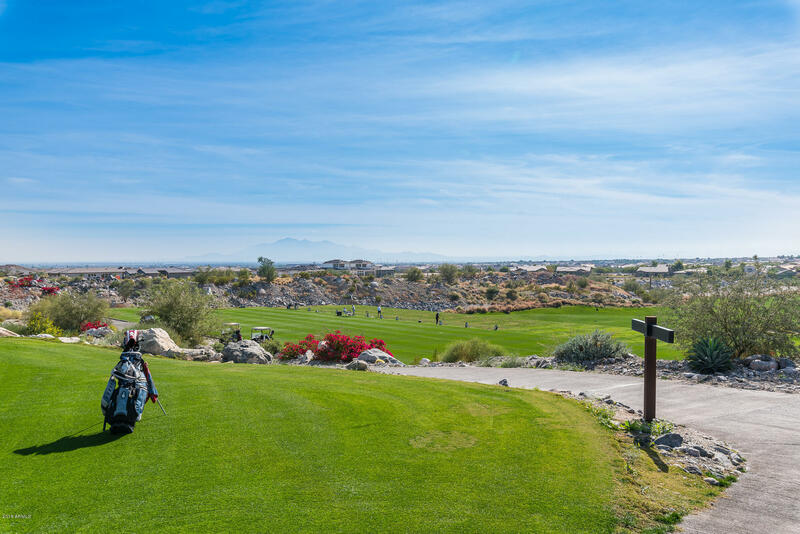 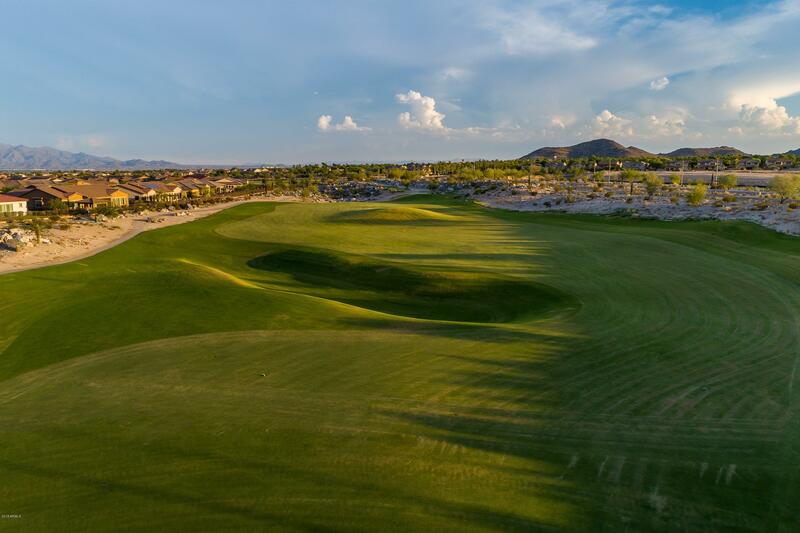 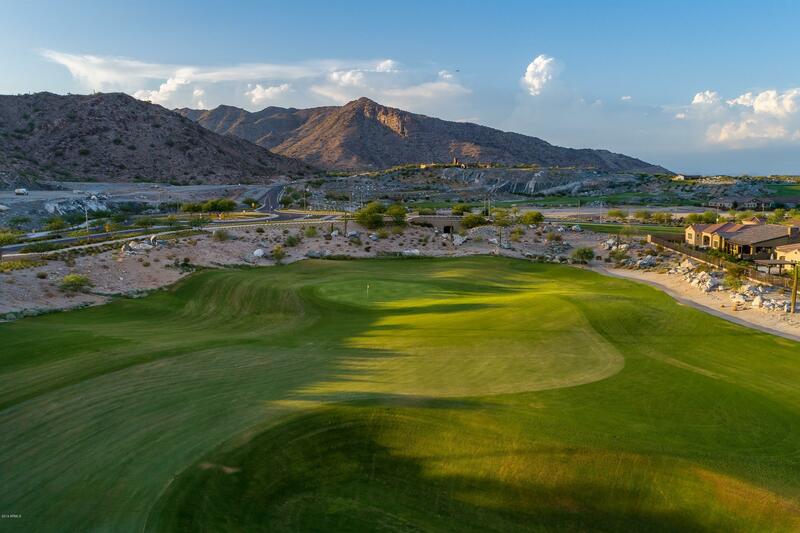 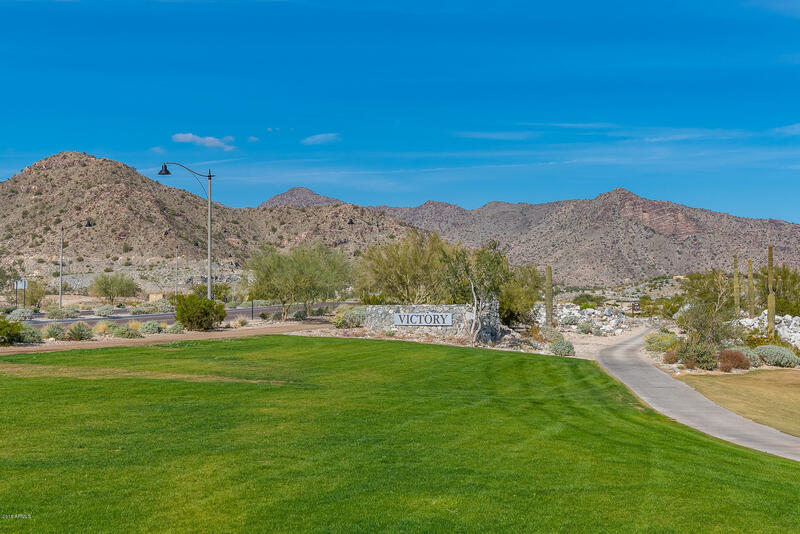 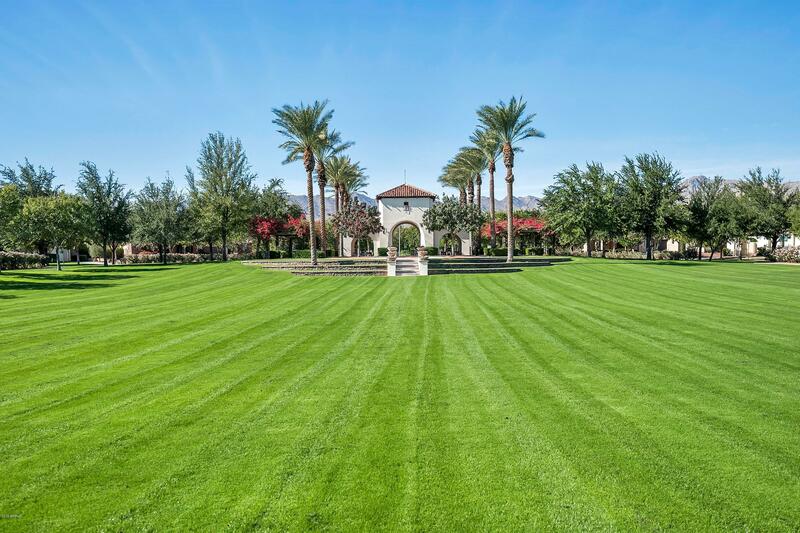 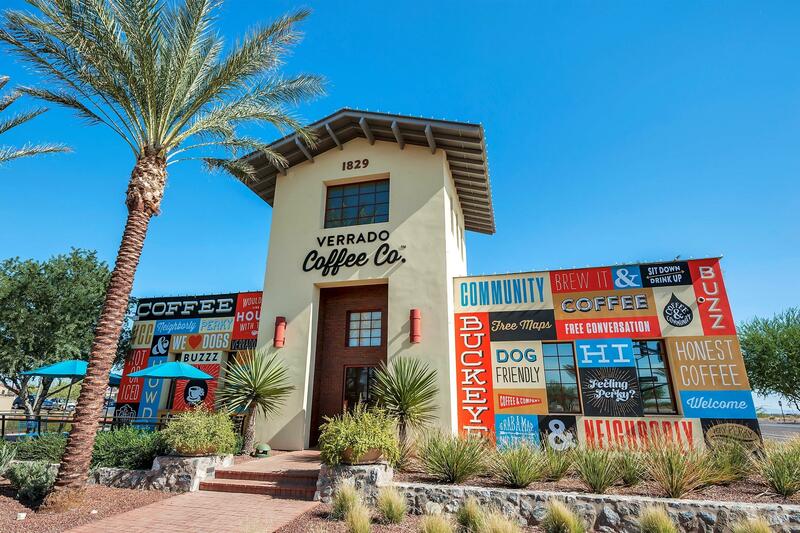 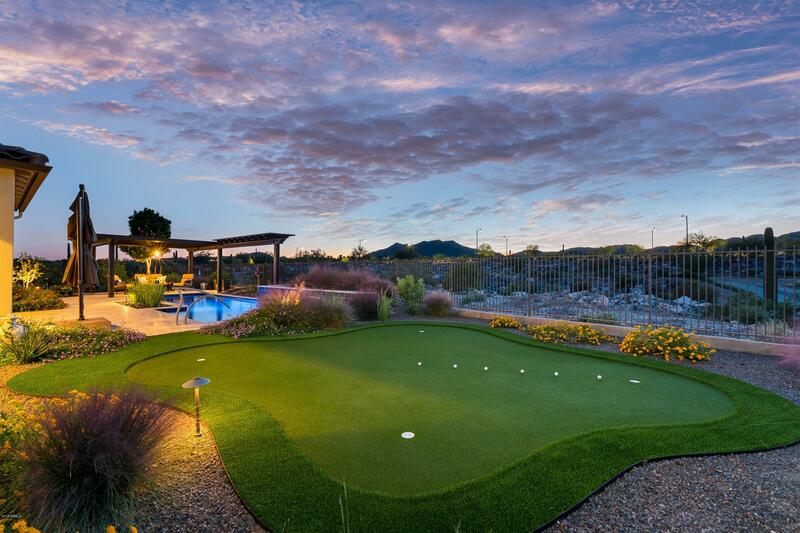 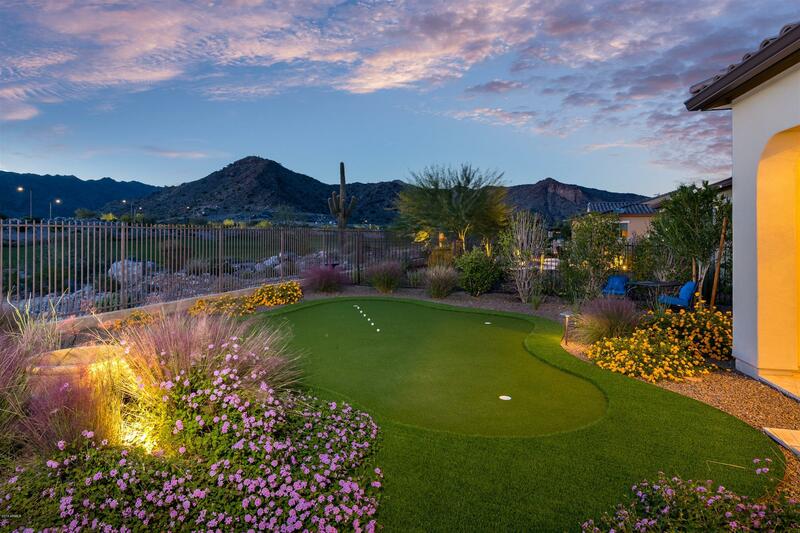 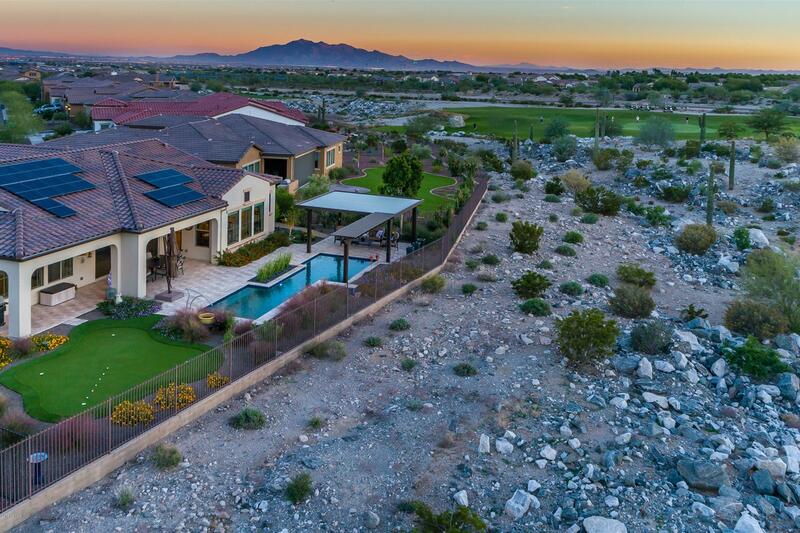 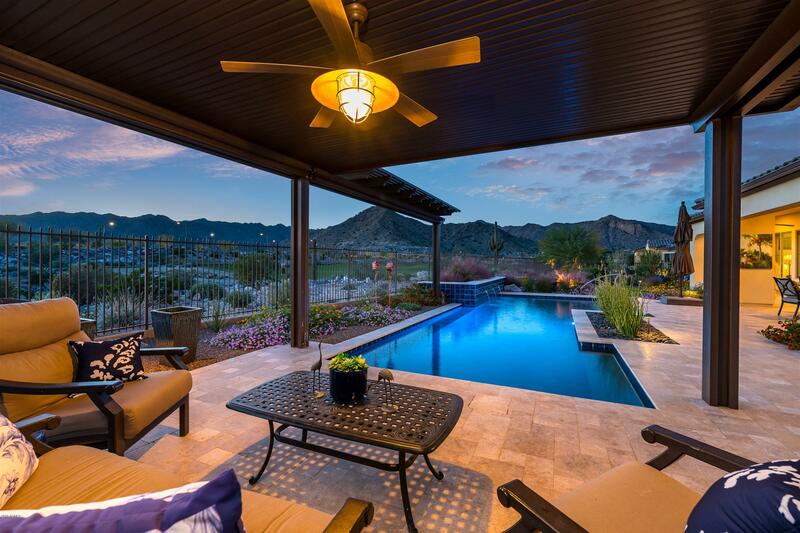 Gorgeous Golf Course & Mountain views on the 17th fairway of the prestigious Victory golf course at Verrado. 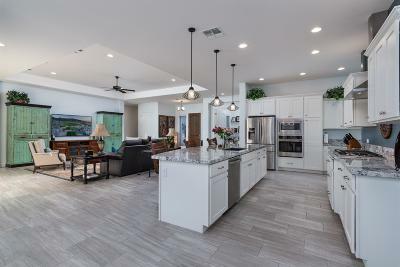 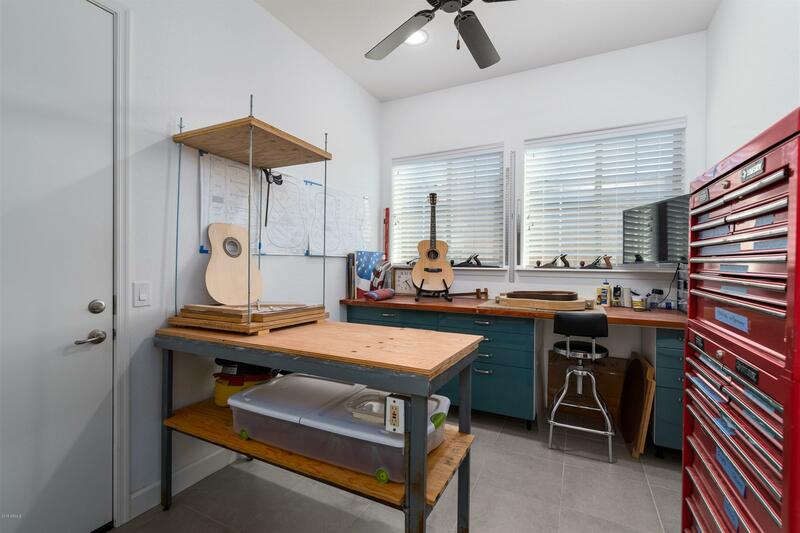 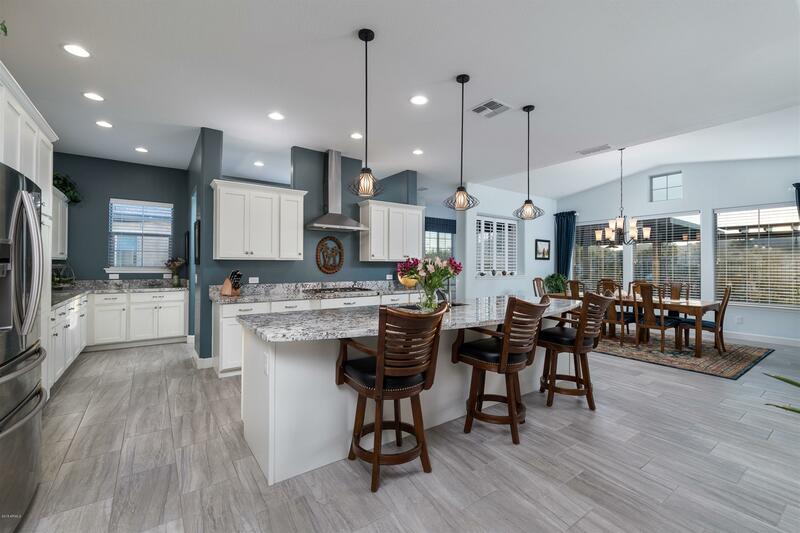 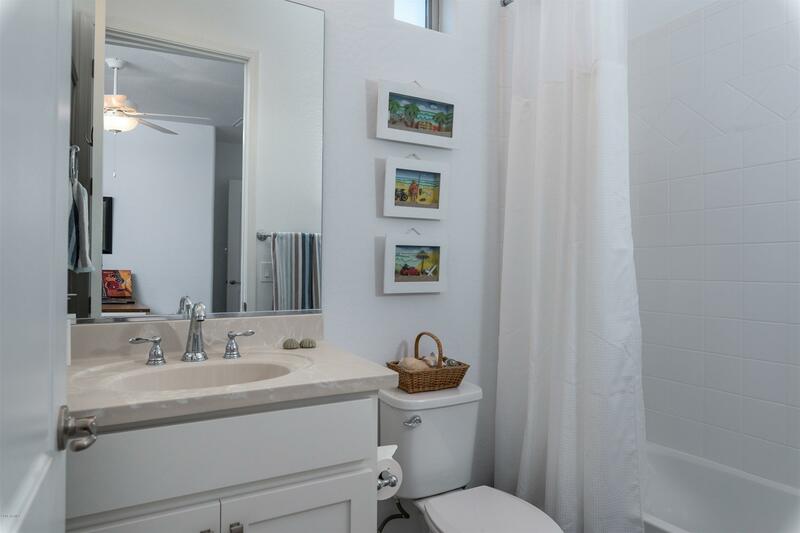 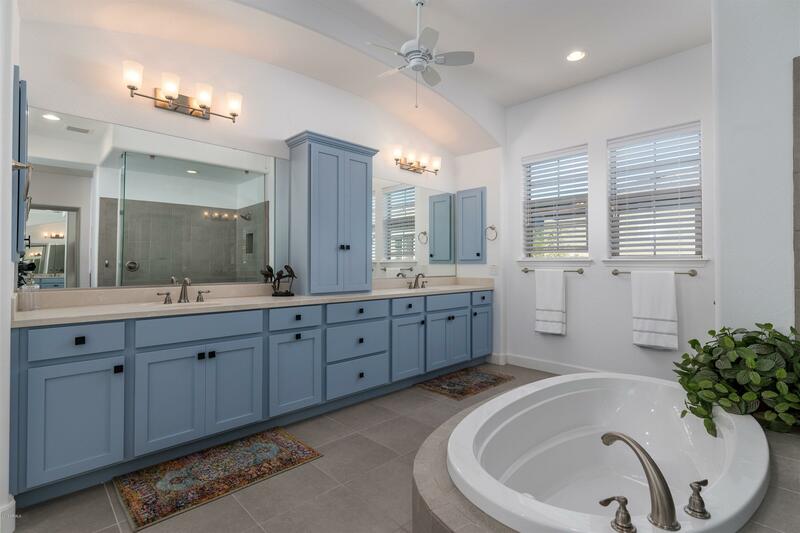 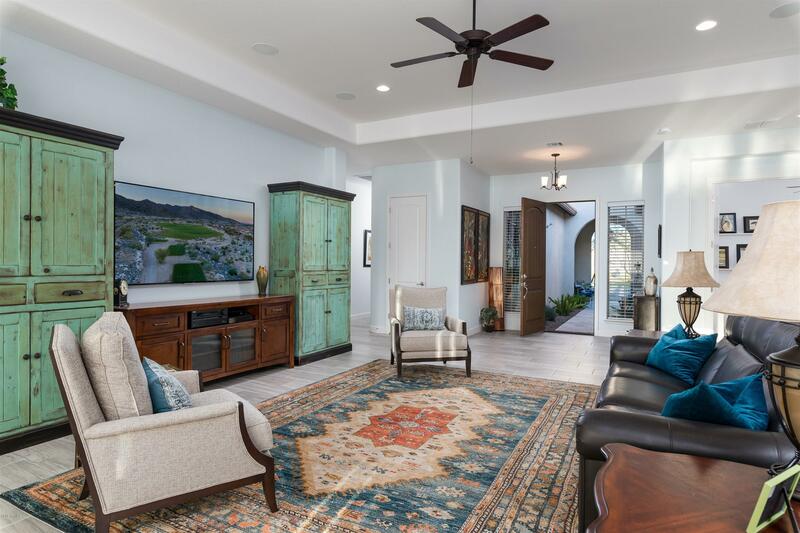 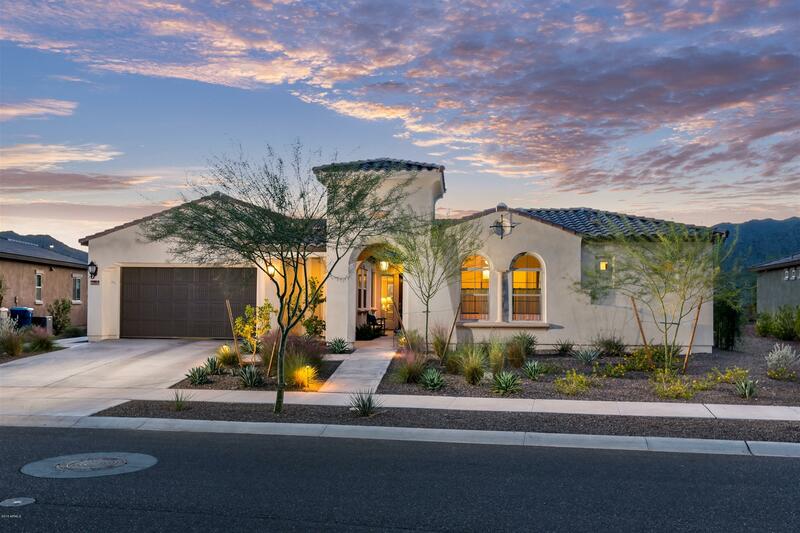 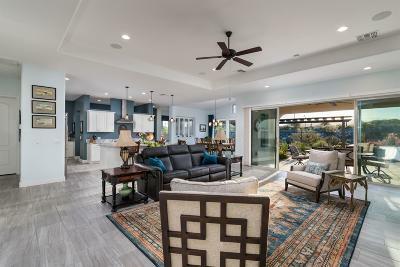 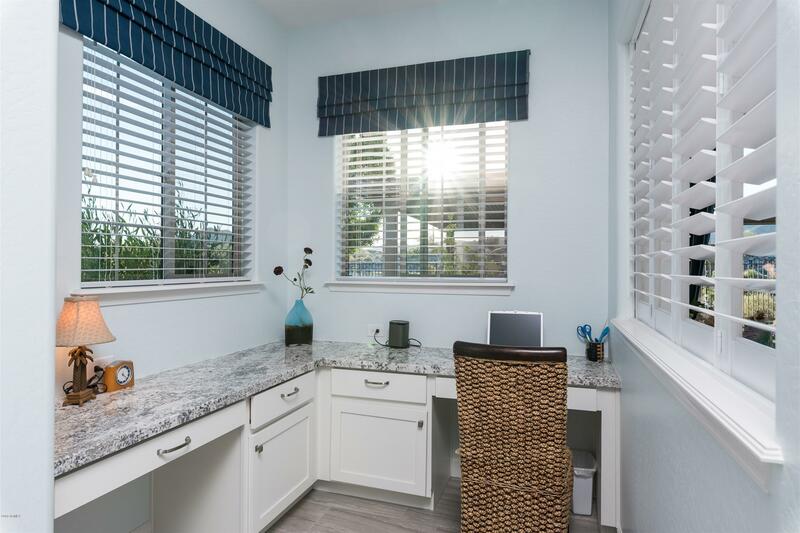 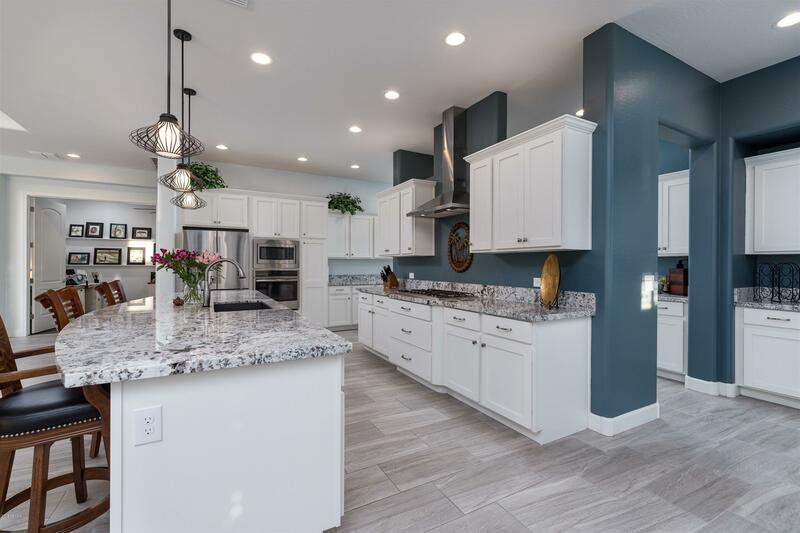 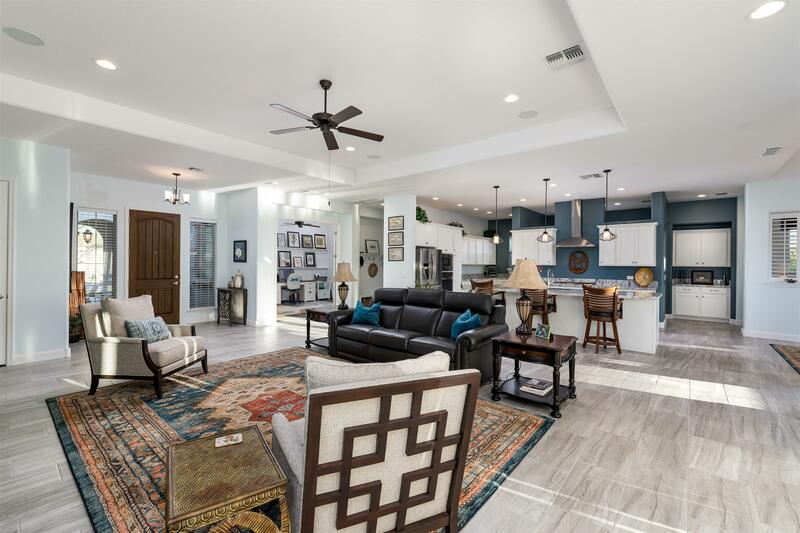 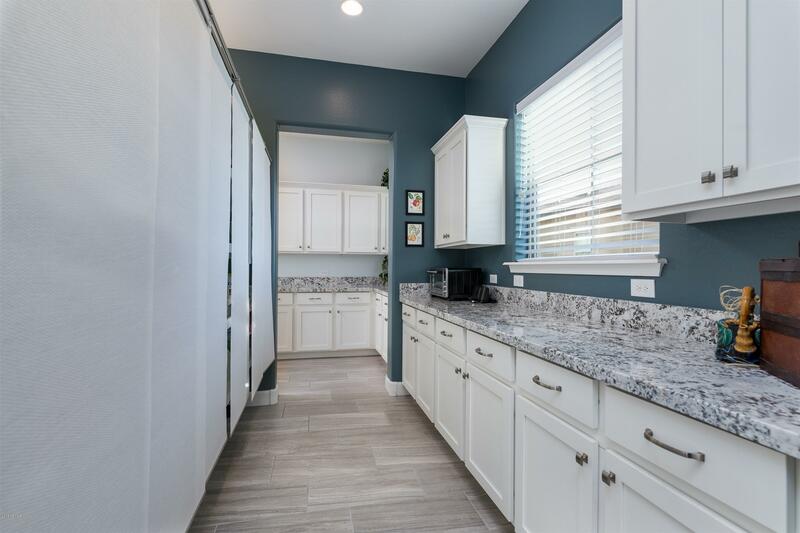 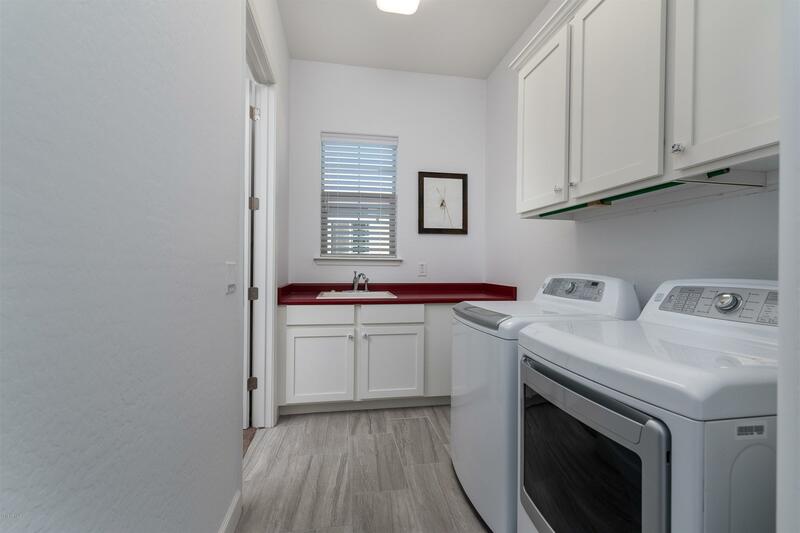 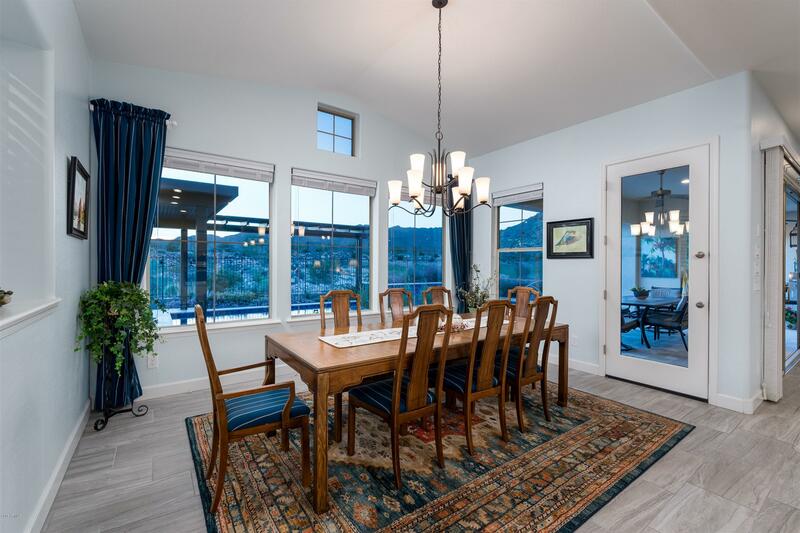 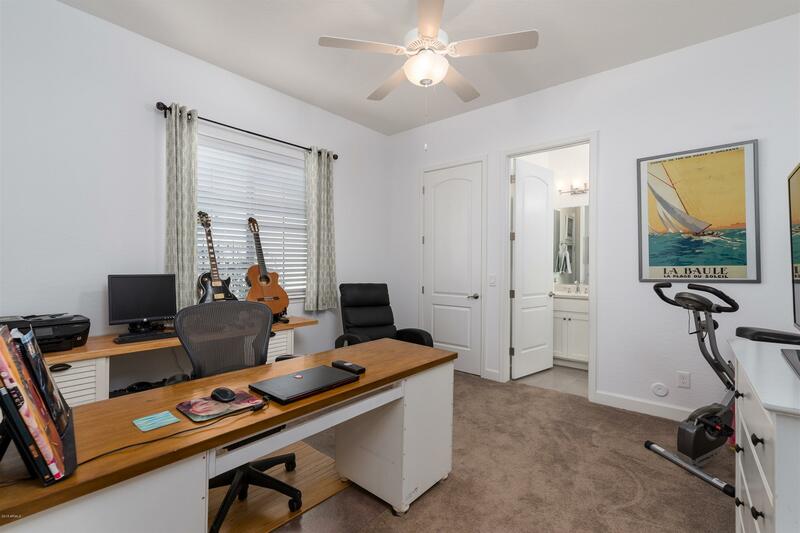 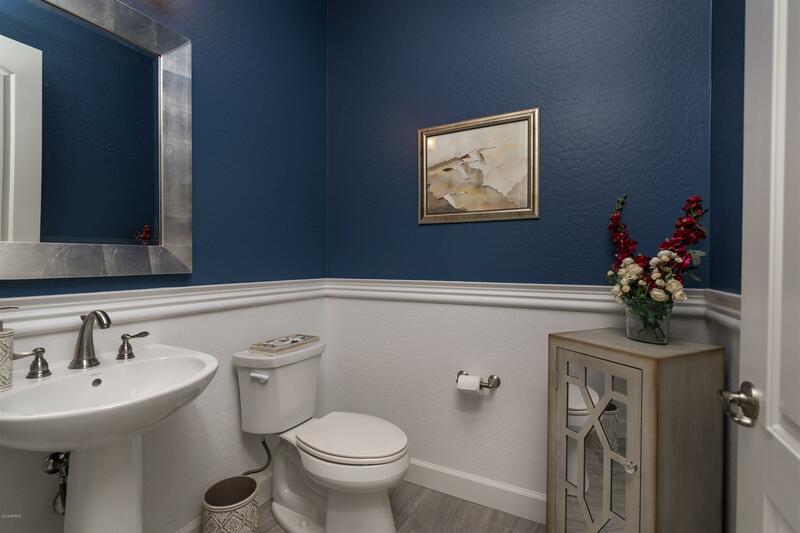 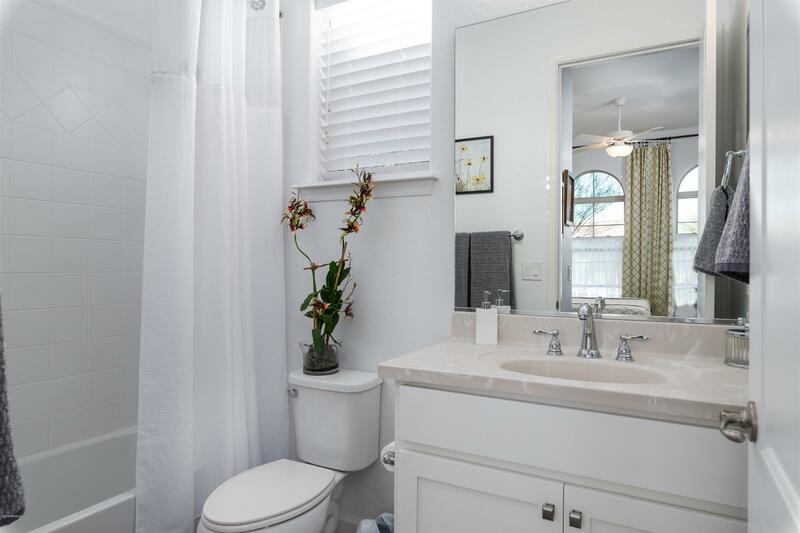 This home is appointed throughout with granite countertops, upgraded cabinetry, ceiling fans, sound system and a modern light and airy neutral palette. 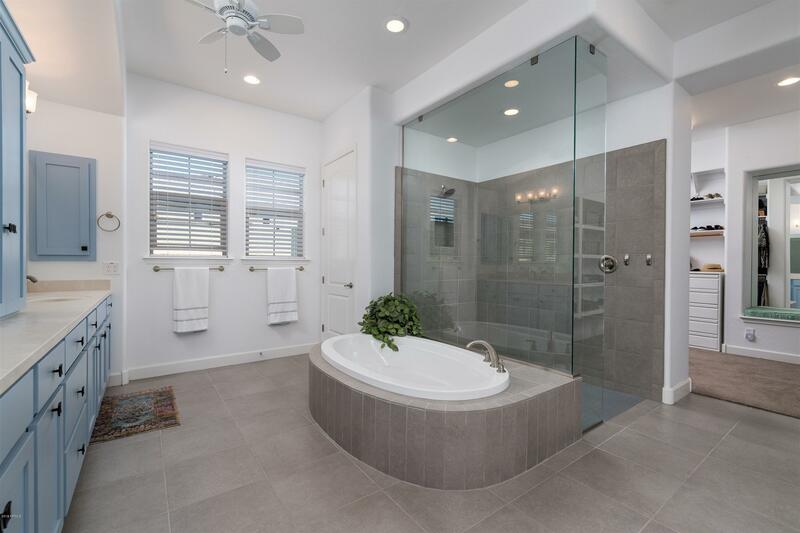 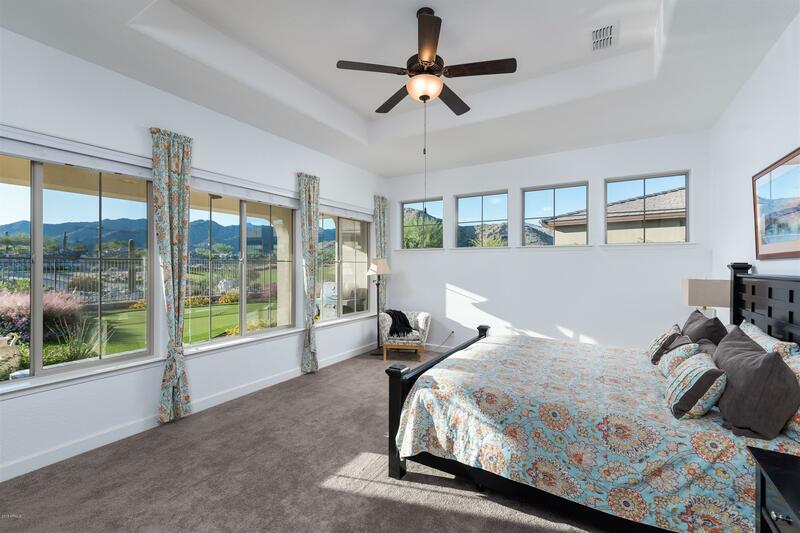 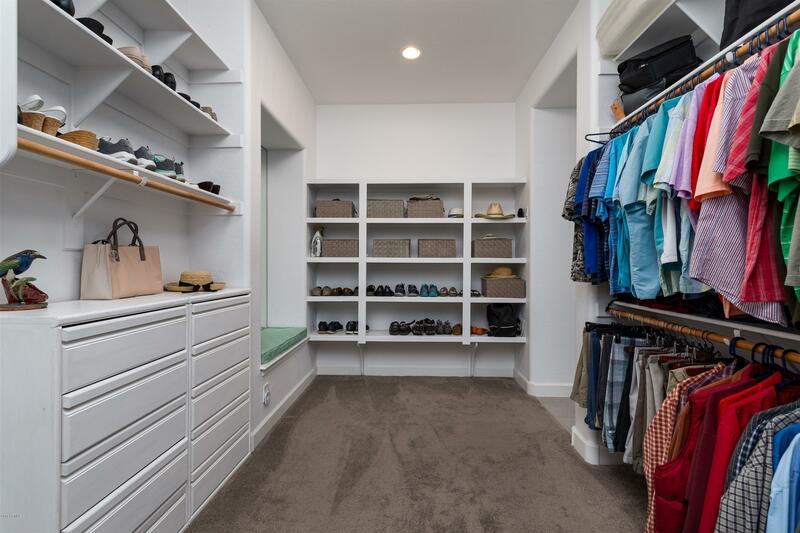 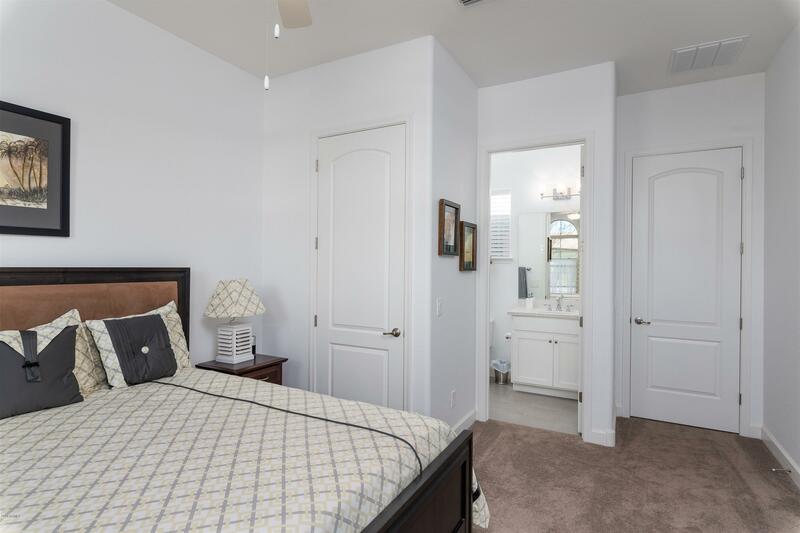 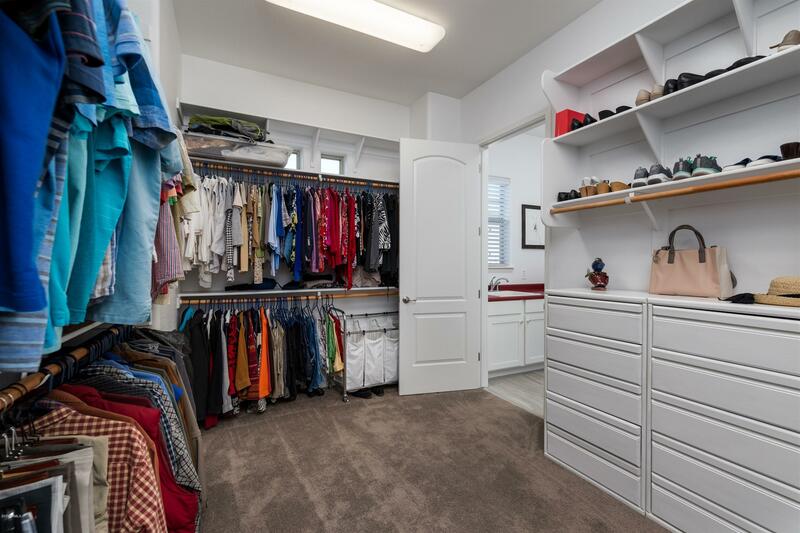 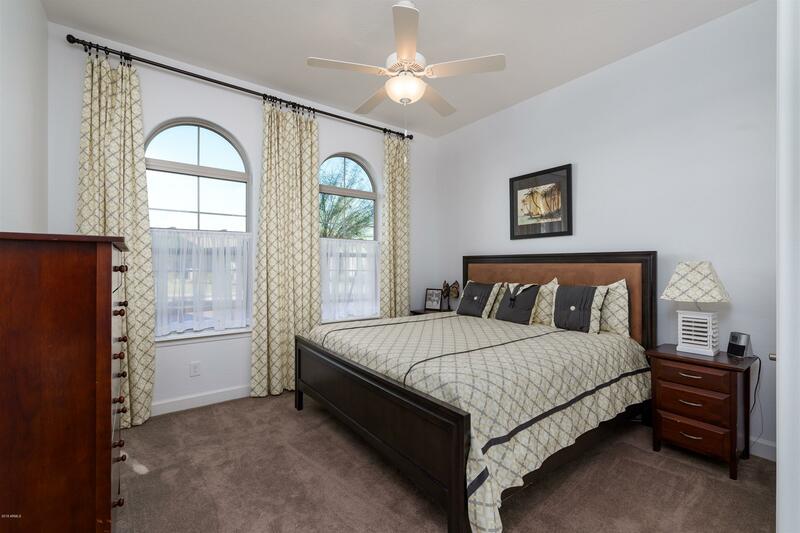 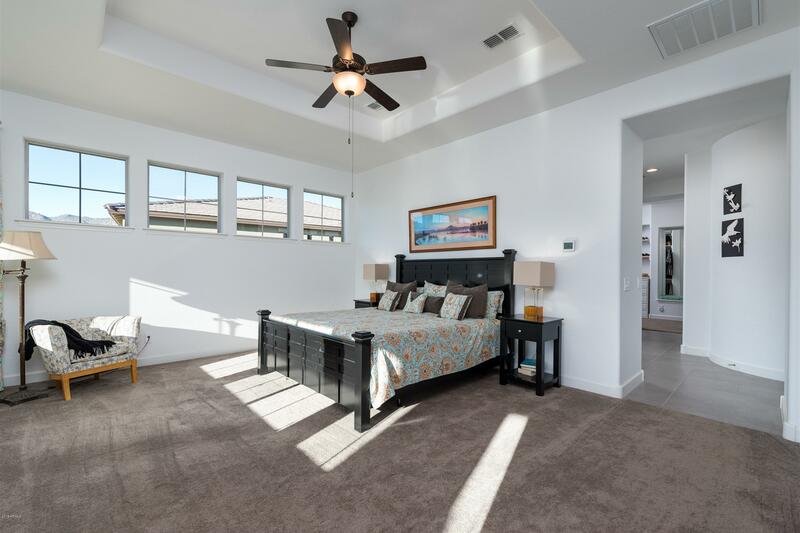 Master bedroom features a resort style bath and huge walk-in closet. 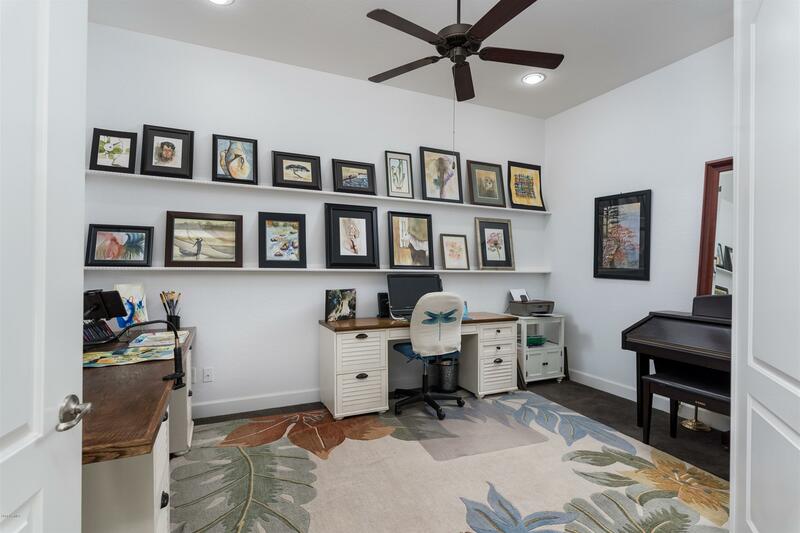 The split floor plan features two en-suite guest rooms, powder room, separate office/den, and interior workshop/bonus room. 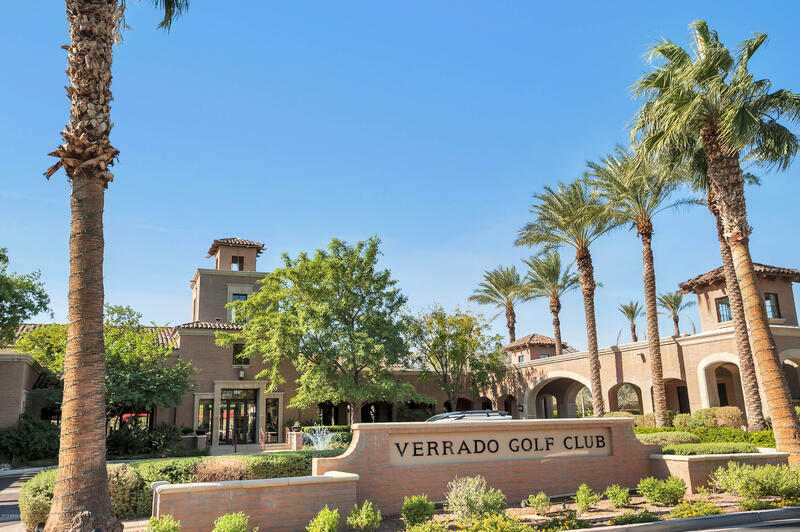 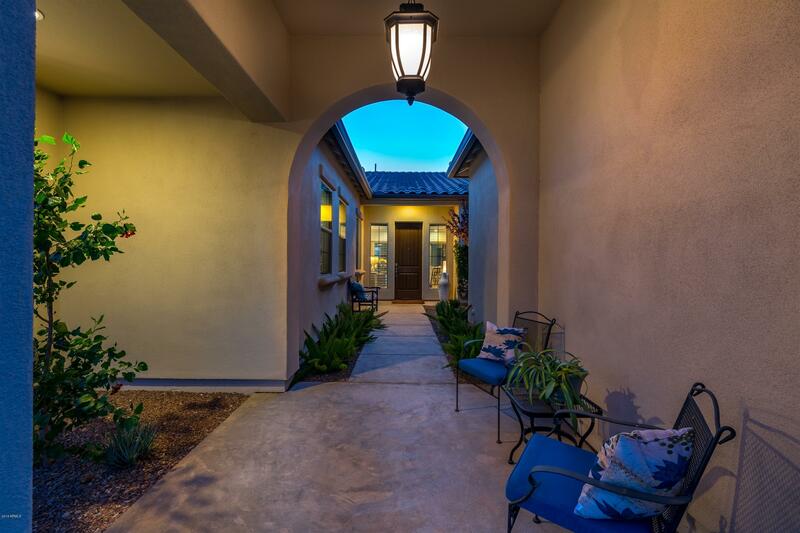 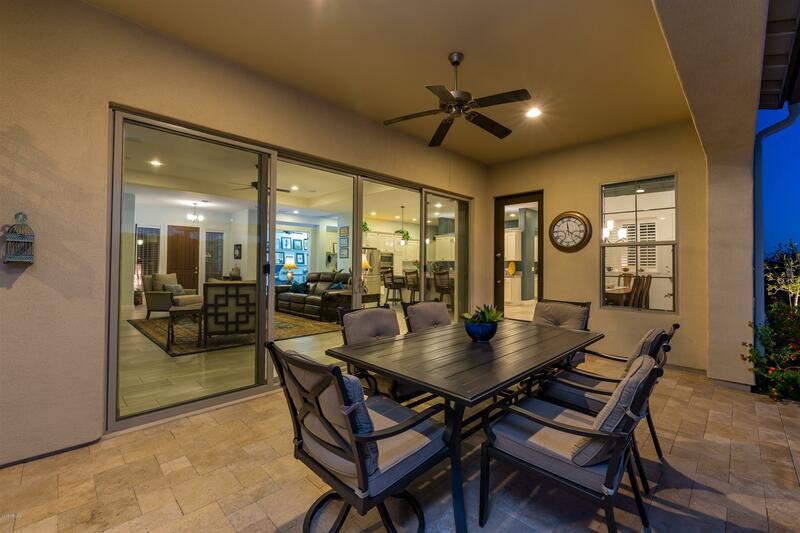 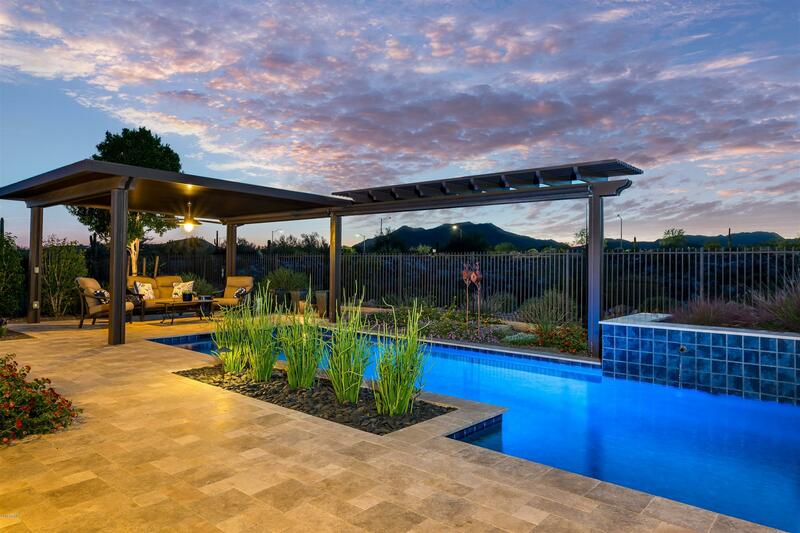 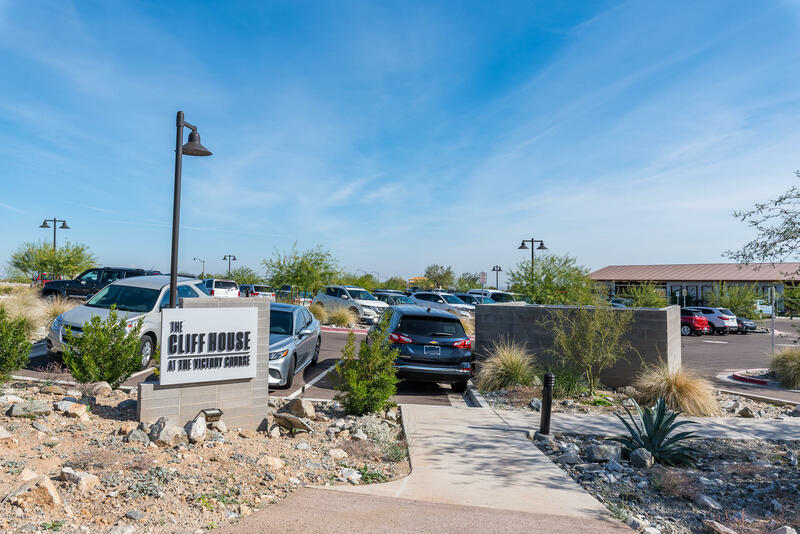 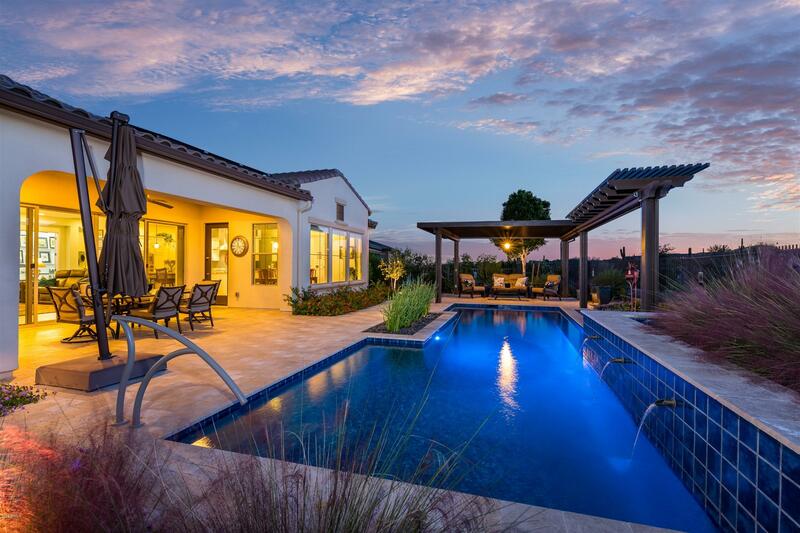 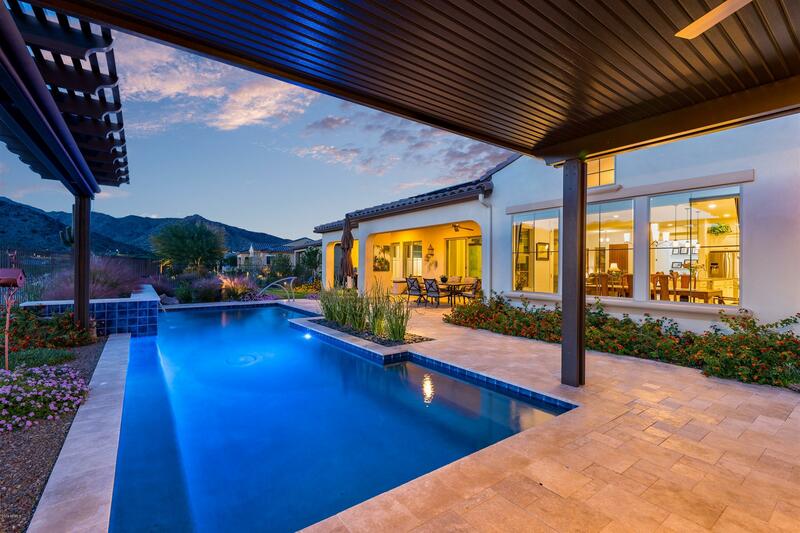 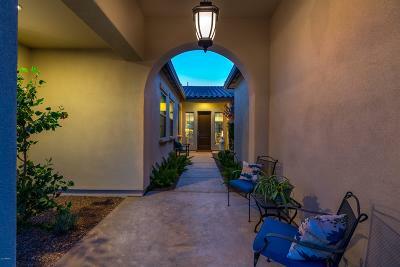 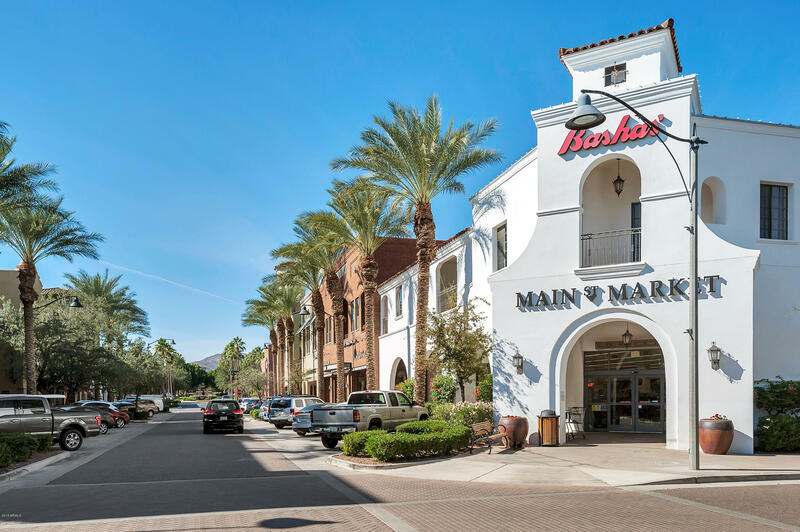 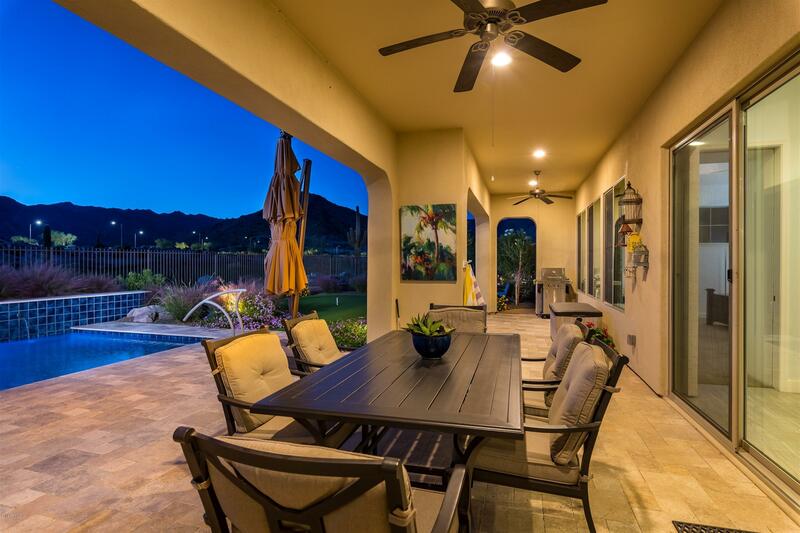 Enjoy year round outdoor living from spectacular lush backyard oasis with covered patio, Ramada with roll-up sunshades, heated & cooled salt-water pool, and putting green. 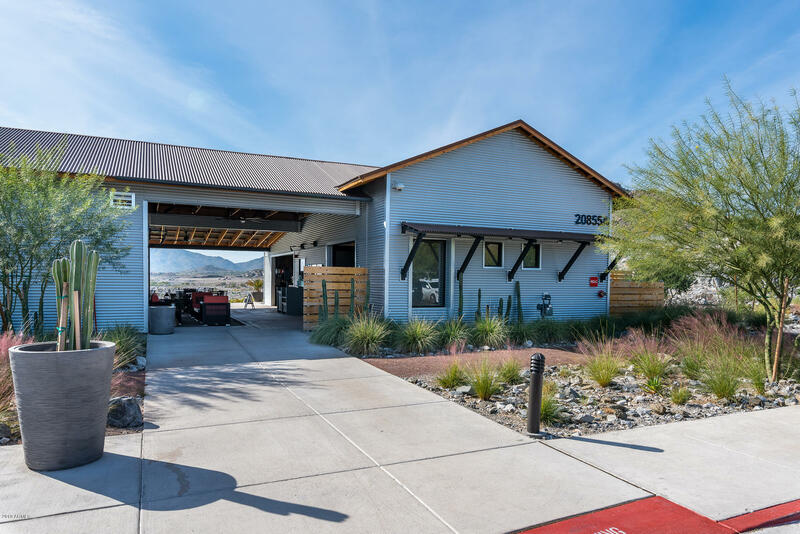 An expansive insulated garage with tandem bay can accommodate a large boat. 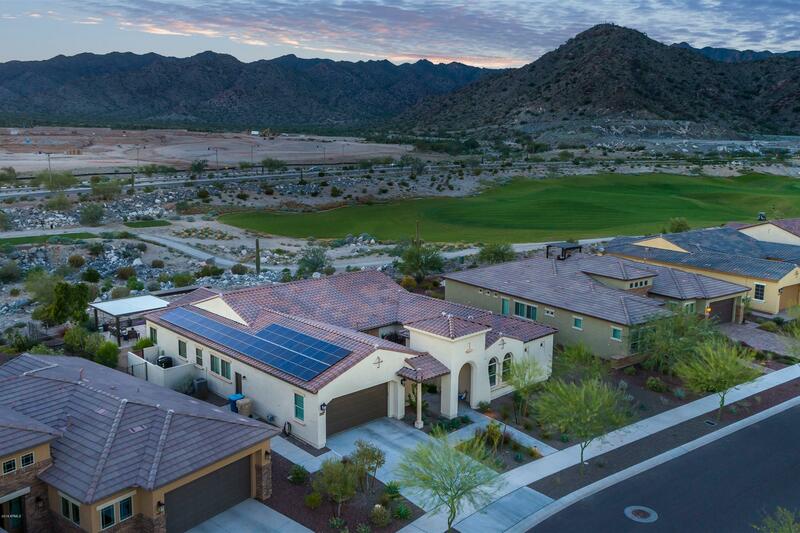 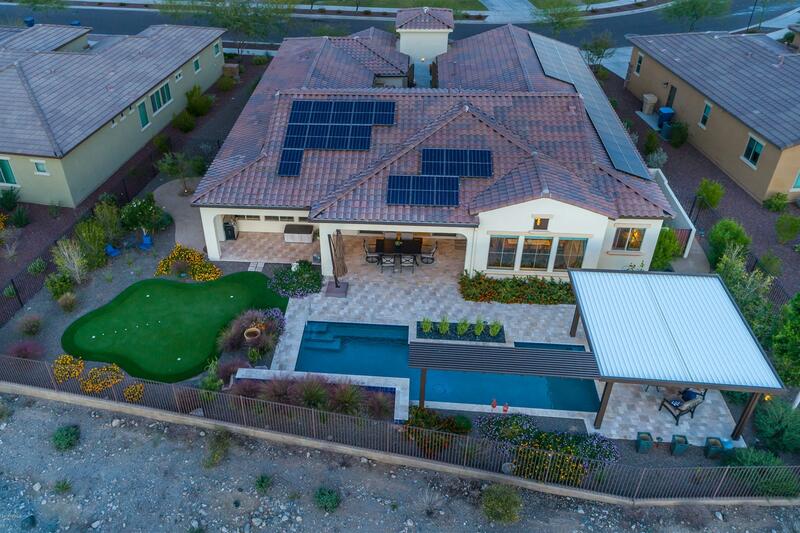 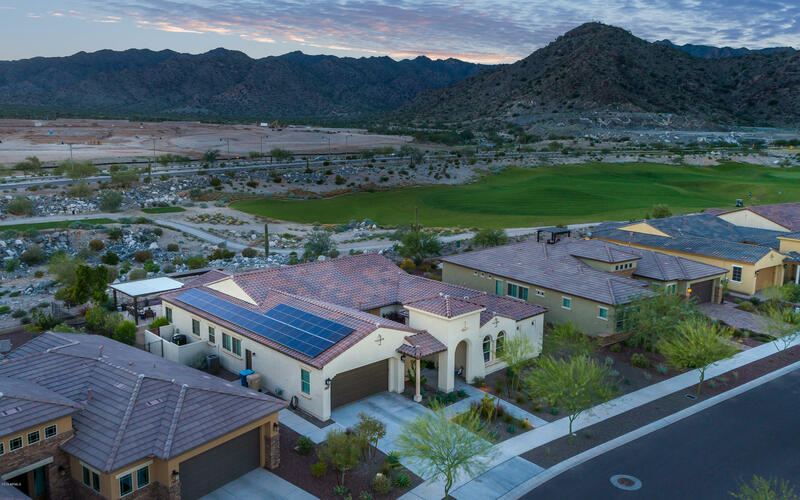 Solar Panels complete this home. 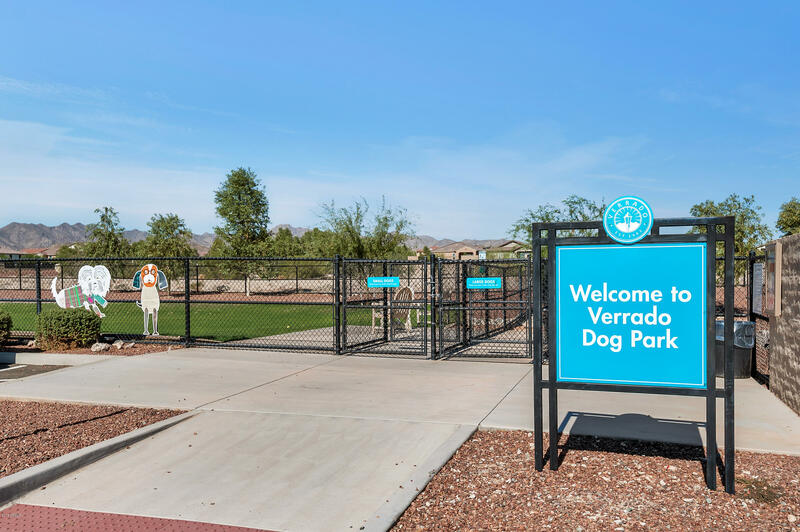 See Motion Video! 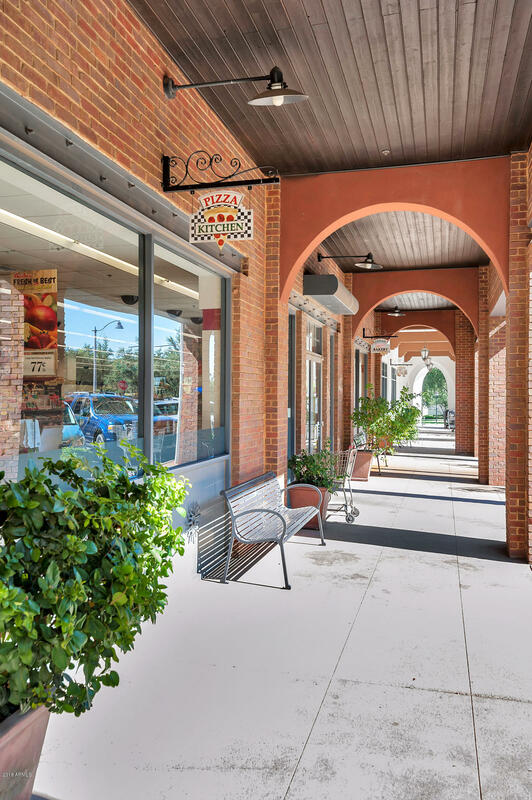 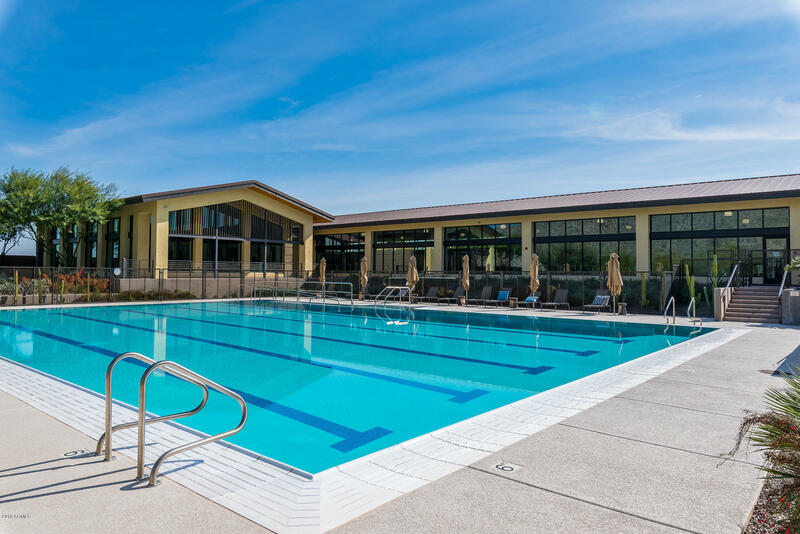 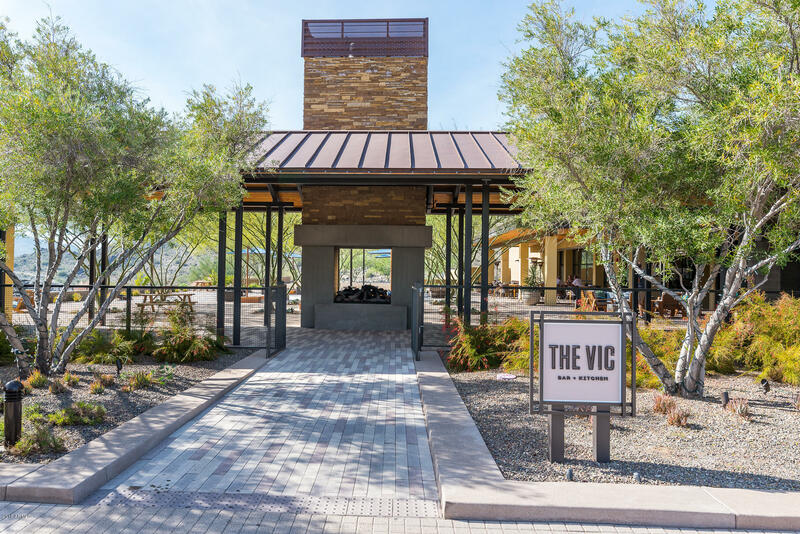 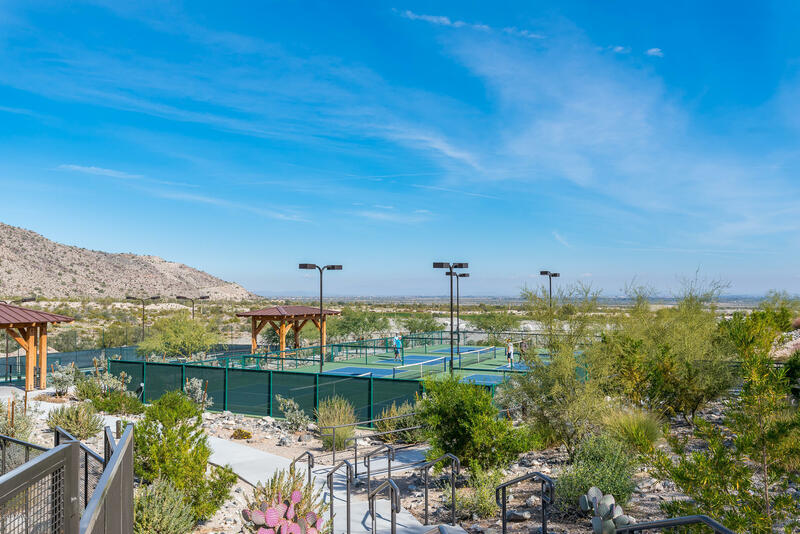 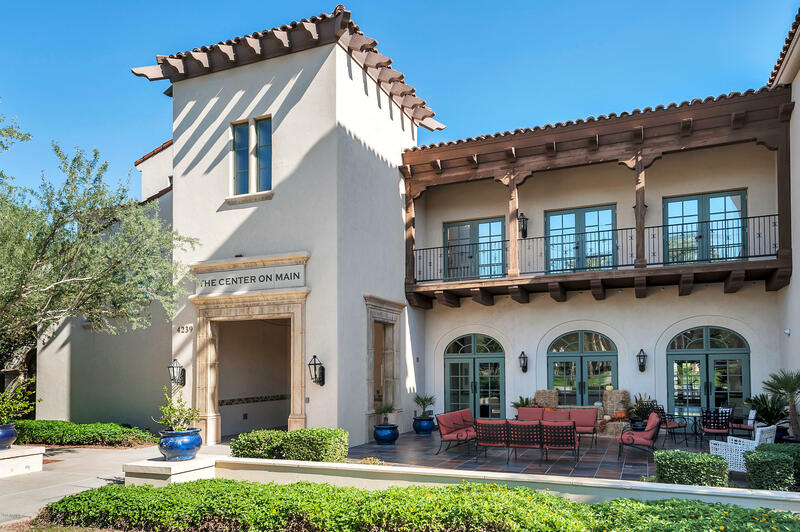 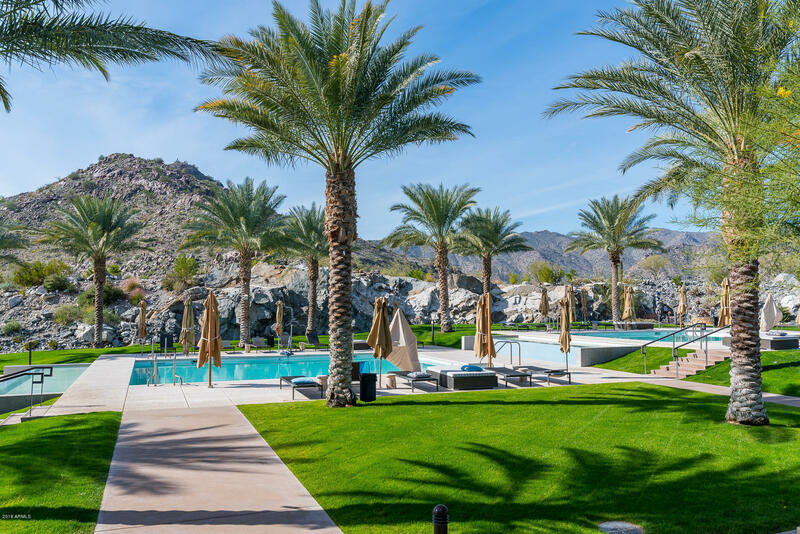 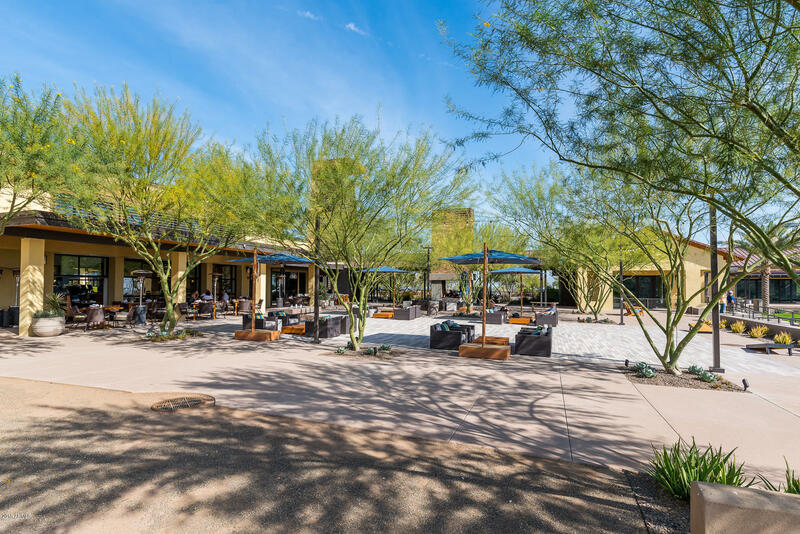 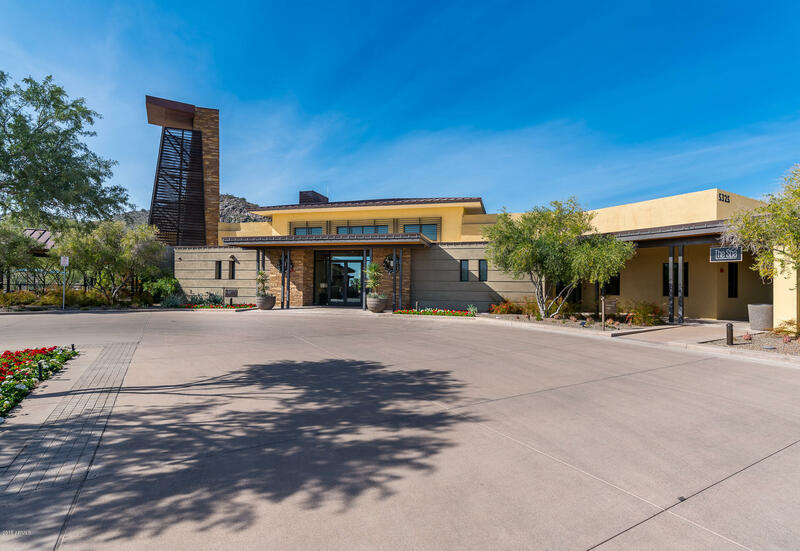 Vicotry resort living includes numerous member clubs, optional golf memberships, clubhouse with award winning dining at The Vic, full service Spa, heated pools, private health club, and Pickelball.